[av_section min_height=’25’ min_height_px=’400′ padding=’default’ shadow=’no-shadow’ bottom_border=’no-border-styling’ id=” color=’main_color’ custom_bg=” src=’https://www.innovationgeneration.com.au/wordpress/wp-content/uploads/2015/12/WEB-BANNER-2016-C.jpg’ attachment=’782′ attachment_size=’full’ attach=’scroll’ position=’bottom center’ repeat=’stretch’ video=” video_ratio=’16:9′] [av_two_third first] [av_image src=’https://www.innovationgeneration.com.au/wordpress/wp-content/uploads/2015/12/INN-GEN-LOGO_Conf2018_Wagga_white-NEW-1030×174.png’ attachment=’1775′ attachment_size=’large’ align=’left’ styling=” hover=” link=” target=” caption=” font_size=” appearance=” overlay_opacity=’0.4′ overlay_color=’#000000′ overlay_text_color=’#ffffff’ animation=’pop-up’ admin_preview_bg=”][/av_image] [/av_two_third][/av_section][av_section min_height=” min_height_px=’500px’ padding=’small’ shadow=’no-border-styling’ bottom_border=’no-border-styling’ id=” color=’main_color’ custom_bg=” src=’https://www.innovationgeneration.com.au/wordpress/wp-content/uploads/2014/07/BKGRND1a.jpg’ attachment=’460′ attachment_size=’full’ attach=’parallax’ position=’top center’ repeat=’no-repeat’ video=” video_ratio=’16:9′] [av_one_fifth first] [av_image src=’https://www.innovationgeneration.com.au/wordpress/wp-content/uploads/2016/04/KK-0076-300×200.jpg’ attachment=’2006′ attachment_size=’medium’ align=’right’ styling=” hover=” link=” target=” caption=” font_size=” appearance=” overlay_opacity=’0.4′ overlay_color=’#000000′ overlay_text_color=’#ffffff’ animation=’no-animation’ admin_preview_bg=”][/av_image] [/av_one_fifth][av_one_half min_height=” vertical_alignment=” space=” custom_margin=” margin=’0px’ padding=’0px’ border=” border_color=” radius=’0px’ background_color=” src=” background_position=’top left’ background_repeat=’no-repeat’ animation=” mobile_display=”] [av_heading heading=’Sam Burton Taylor ‘ tag=’h1′ style=’blockquote modern-quote’ size=” subheading_active=’subheading_below’ subheading_size=’15’ padding=’10’ color=” custom_font=” admin_preview_bg=”][/av_heading] [av_textblock size=” font_color=” color=” admin_preview_bg=”] Sam is a qualified butcher who owned and operated a retail butcher shop in rural NSW with avenues through retail, wholesale and online. His career started in accountancy with insolvency firm Ferrier Hodgson in Sydney which then led him into his own business, Be Challenged, which provided corporate team building programs in NSW, Victoria and the ACT. 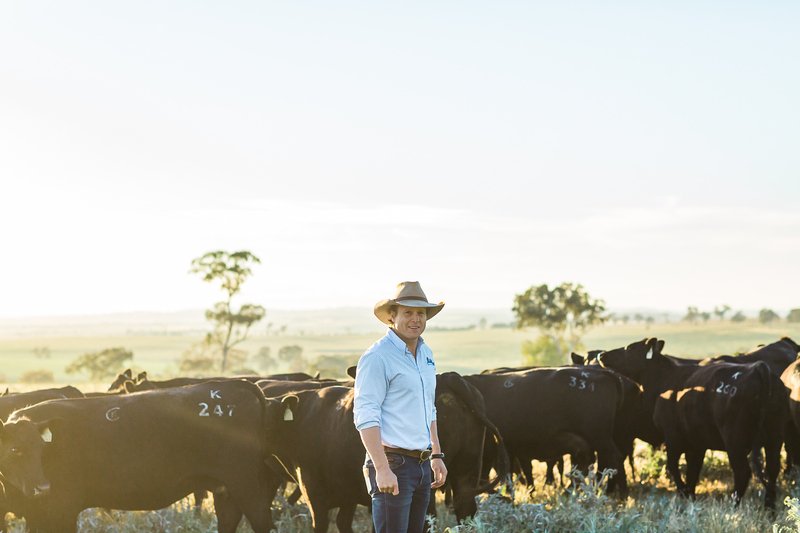 Sam has grown up on farms throughout his life and through his families interests has oversight of four properties across eastern Australia which carry approximately 15,000 head of cattle. The family also own and operate Kenny’s Creek Angus stud. Sam currently operates KC Natural which processes cattle in northern NSW, lambs in Victoria and exports to customers in China, South-East Asia, Middle East and the USA.